The index opened positive around 7038 and went up and up with each passing hour to notch up the biggest one day gain in 7 years to close at 7222.30, huge gain of 235.25 points. The broader market was strong with 1343 advances to 210 declines. The range has narrowed down to 7000-7500. 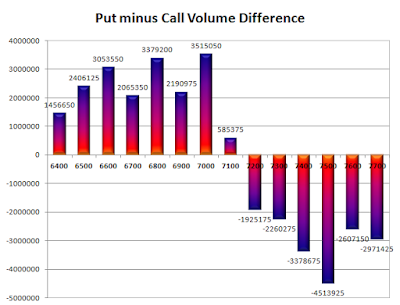 Call option 7200, 7400-7700 added huge 23.93 lacs OI with short covering seen at 7100 and below strike prices. Put option 7400-6700 added huge 53.27 lacs OI with small profit booking seen at 6600 strike price. Nifty Open Interest is at 1,85,79,675 up by 5,27,925, with increase in price, most probably huge long build-up. 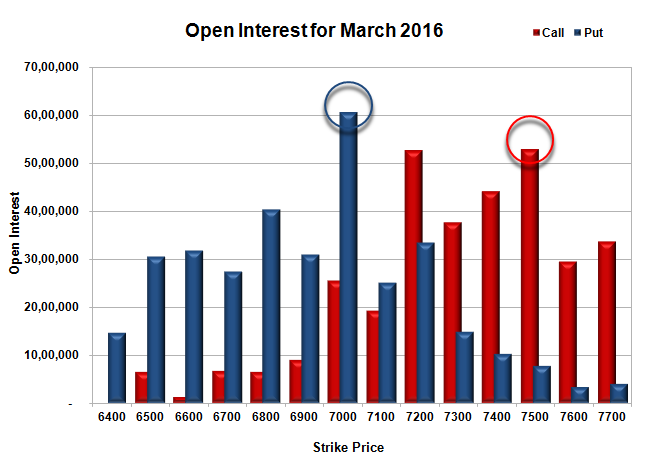 Bank Nifty Open Interest is at 22,60,110 up by 54,870, with increase in price, most probably long build-up. FII’s bought 3.77 lacs Futures, which includes net 12259 contracts long build-up and 2821 contracts short covering, with increase in net OI by 9438 contracts, includes 57731 longs to 42651 shorts for the day. FII’s Index future open contract as on date is 104202 Longs to 127317 Shorts, Net -23115 up by 15080 contracts. Initial support at 7200, with huge OI addition of 15.54 lacs and below that at 7000 with highest OI of 60.69 lacs. 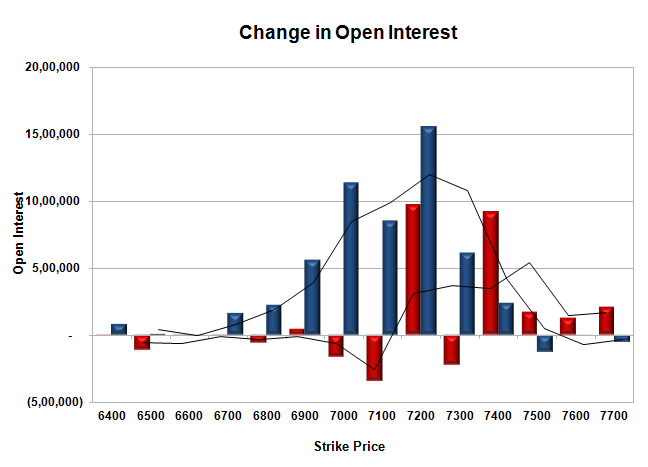 Initial resistance at 7300, with OI of 37.59 lacs and above that at 7400 with OI of 44.10 lacs. 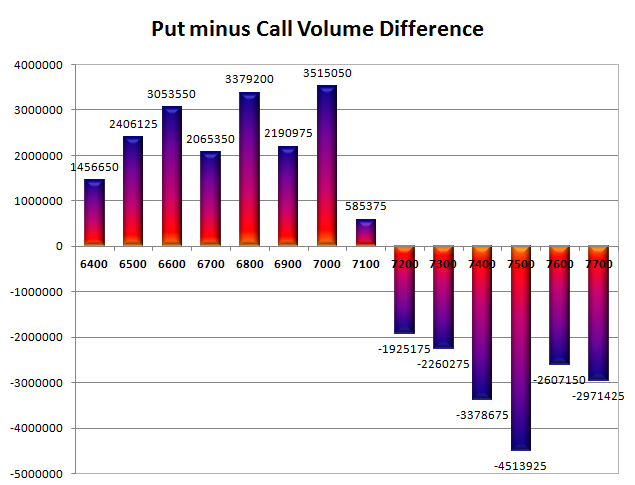 Day Range as per Option Table is 7072 - 7290 and as per VIX is 7152 - 7293 with 7164 as the Pivot.